Miami style is all about capitalizing on the Caribbean’s light, energetic spirit, and tropical breezes. Dreamy greenery is offset by sparkling, white or glassy backgrounds. The Miami trend to follow is natural, airy, playful, contemporary and open-ended. Take inspiration from the plentiful palms and bring in plants and moss patterns to give your home a luxuriant appeal, regardless of its location. Even the smallest moss accessory can bring life to your indoor spaces, adding captivating, organic reverberations to the room. Moss walls are a healthy choice of art since they reduce noise and add a natural design element to any space without adding clutter. Mother Earth – She is mother to all humans without distinction and discrimination. Across all continents and cultures, we are all one with Earth. 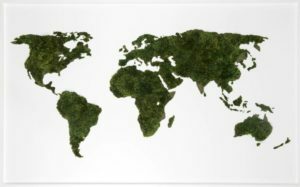 Moss was the first plant to emerge from the ocean and conquer the land. It is a natural indicator of direction, used for navigation as they grow on the north side of trunks in nature. 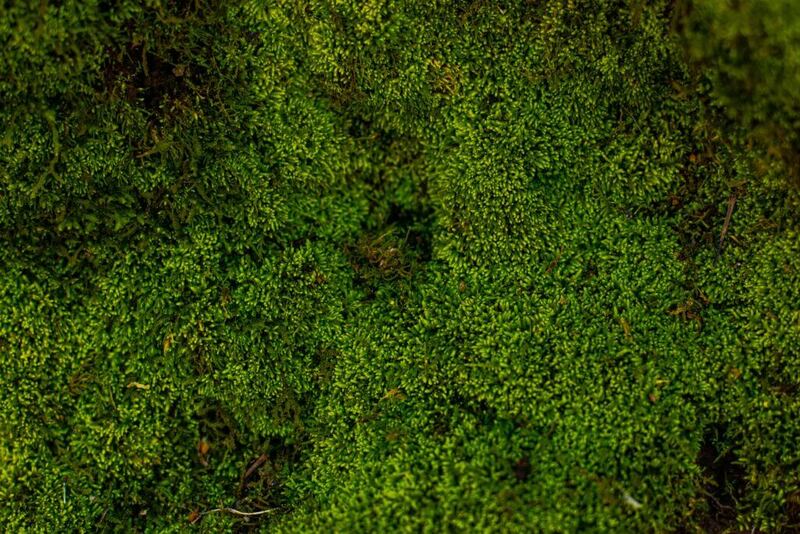 This piece of moss art brings the calmness and peace of the forest into your life. Its silence will allow you to hear your inner voice and connect with your feeling of touch. 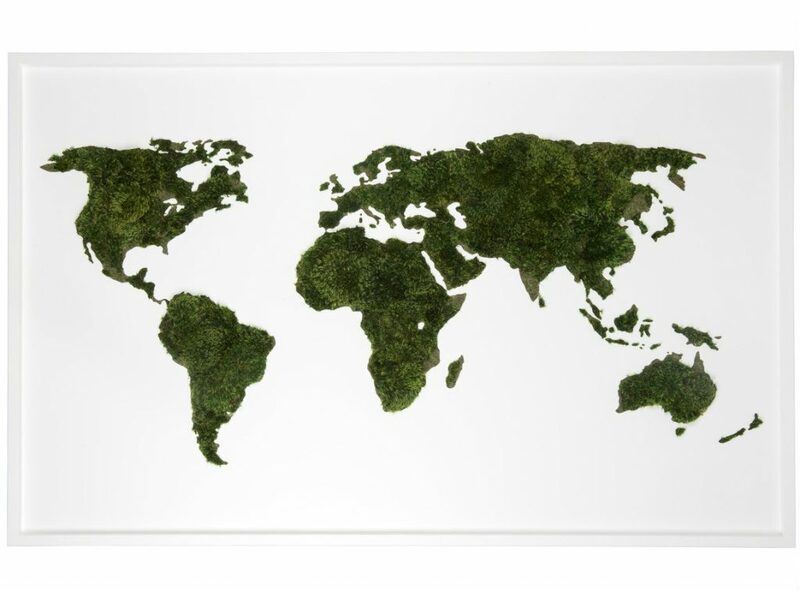 A seamless combination of nature and art, this moss piece can bring harmony to any room where it’s placed. Just like a painting or framed picture, you can hang this artwork on any wall. The collaborative murals and elegant wall sculptures combine Antonaccio’s recognizable linear style and Teppa’s preserved natural moss design. The triptych is composed of three individual works. The sculpture as a whole depicts female facial features. 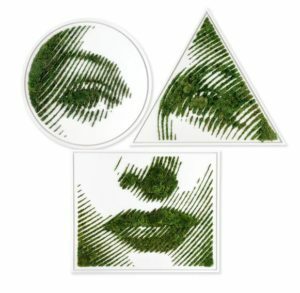 The face represents the features with which we experience biophilia- using all of the senses. 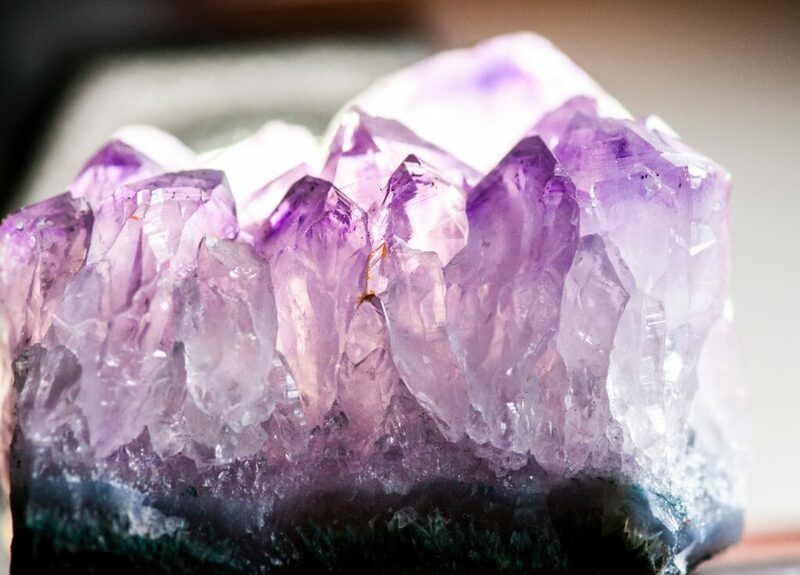 It represents an expression of wonder and making an idealist world that the next generation can live freely in.